Few books have been recommended to me as highly as Total Truth by Nancy Pearcey. This book about Liberating Christianity from its Cultural Captivity more than lives up to its reputation. I suppose the whole premise of Total Truth is summed up in this thought: “Redemption is not just about being saved from sin, it is also about being saved to something—to resume the task for which we were originally created.” And what was this task? According to Genesis 1:28 our purpose is very simply “to create cultures, build civilizations—nothing less,” in other words, to develop all aspects of families, churches, schools, cities, governments, laws, agriculture, engineering, science, arts, and more. 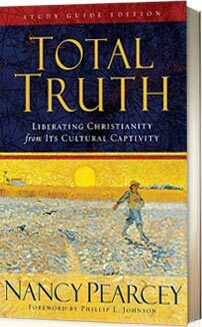 Based on the idea that it is important to redeem the culture as well as individuals and that we need to move beyond a privatized faith, Total Truth aims to equip evangelical Christians with the conceptual tools they need to impact culture. However, it is not a ‘how to’ book of political activism; instead it analyses our culture, showing why and how Christianity is marginalized and what we can do about it in our everyday lives. the fact-based, public world of science, politics, and everyday life. Notice that Christianity is put outside the realm of objective fact. Therefore, when Christians appeal to the Bible as truth for all people at all times, our society does not see this as a truth claim but as a power grab. And there, I think, is the crux of the paradox of Christianity thriving in North America while having so little actual influence. It is important in people’s private lives, but has almost no impact on business, politics, science, economics and other public endeavors. outlining the history of evangelicalism and its surprising influence on American thought, including feminism. Both sections are full of unexpected but well-documented concepts that challenge readers, from a discussion of the deliberate deception acknowledged and practiced by evolutionary scientists to the idea that feminism is directly related to the public/private split, mentioned above, that is so pervasive in both the evangelical and secular world. Nancy Pearcey, “one of the brightest minds serving evangelical Christianity,” has skillfully combined many complex ideas into 400 pages of eminently readable, though intense, discussion. The book itself is supported by another 100 pages of appendices, notes, book recommendations, and study guide. Total Truth would be an excellent resource to equip teens for life in the world. It is also an important book for parents and, indeed, all Christians to study. I highly recommend it for your family, homeschool, and church. 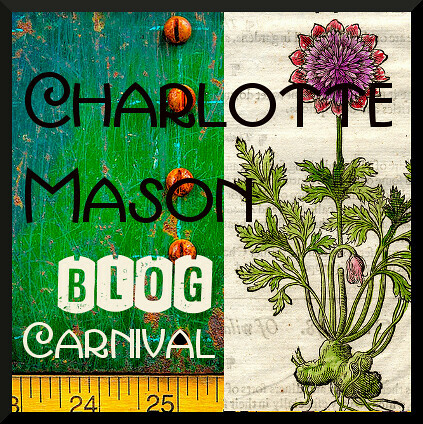 This is yet another book in the in the 2014 52 Books in 52 Weeks Challenge and is also linked to Saturday Reviews, Works for Me Wednesdays, Booknificent Thursdays, Raising Homemakers, Finishing Strong , and Trivium Tuesdays as well as the Carnival of Homeschooling and the Charlotte Mason Carnival. Disclosure: I bought this book after having it repeatedly and enthusiastically recommended to me. I am not compensated for this review in any way. 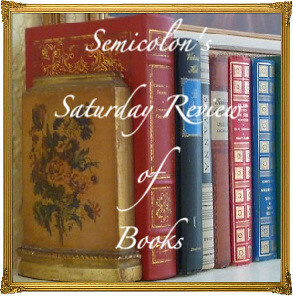 Posted in: 52 Books in 52 Weeks, High School, Life, Reviews, Reviews: Nonfiction, Reviews: Reformed. Sounds like a terrific book. Thanks for reviewing it. Yes, this sounds like it would be a great read! Thanks for sharing this book on Booknificent Thursday! Hope to see you again this week!